Quick delivery and starts the bike. What more can I say. Does what it says on the tin at a third of the price! As a replacement for my OEM battery, excellent! Very quick delivery and ready to go out of the box. Half the price of the OEM part and works fine. Many thanks. Réception du produit très rapide et conforme à l'attente. Excellent service! Very quick and No hassles!! Highly recommend!! Very pleased appears to be good quality at a very good price. Put in my bike deatails, they suggested a battery. Was delivered very prompt ! Perfect battery for the job. What else can I say ? I have now had two of these. The first one i bought failed after a year and only one winter. The second one has now done two winters, so much better so far, as the total cost added up to one more expensive battery that i would expect to get 3 winters out of at least using the bike daily. I only bought it as it was said to be a better performer, but I doubt this, or maybe I got a faulty one first time. Next time I would spend more and get something like a westco. Started a 1200 Daytona that had been sitting since 2008 - what can you say. Very good service. 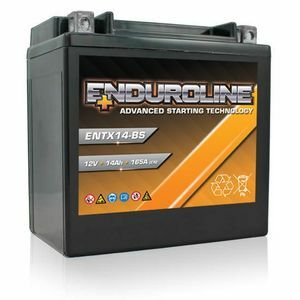 I needed a new battery for my Honda ST1100 and the Web site was easy to use to identify the battery needed. Once ordered the battery arrived in good time and packaged well. I will use Tayna again if I need a new battery. Good service and fast delivery . There has been a lot of cold mornings recently, and no issues with starting. Looking good so far! Thanks. Fits and works as it should. I expect it will continue to do so over the next three years. Excellent service, top quality product.